EUROPE INSURANCE | M-STAT S.A.
Μ-STAT in collaboration with EUROPE INSURANCE developed a leading edge mobile app with dual function for both customers and insurance agents, providing them with a user friendly management tool. The app enables clients to easily access important categories, such as roadside assistance, accident declaration and emergency phone calls. It is also a valuable tool for insurance agents, since it enables them to easily manage their clients’ portfolio. 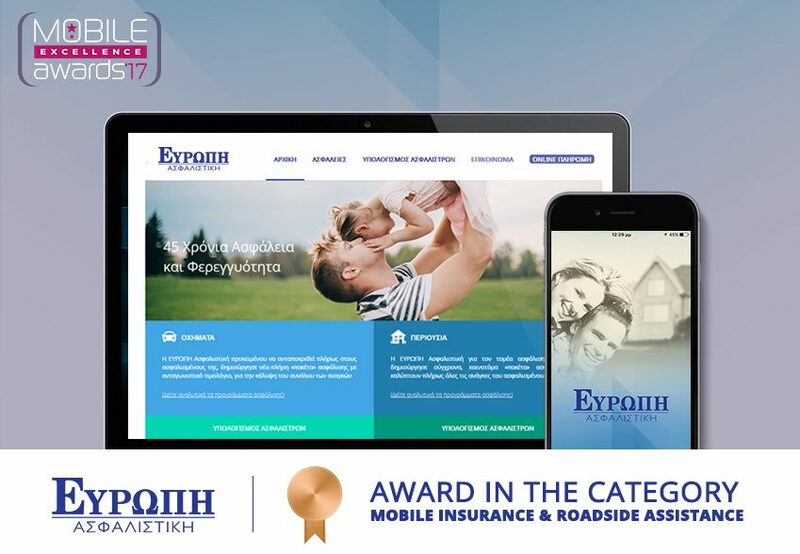 Europe Insurance mobile app has been awarded in the category “Mobile insurance & Roadside Assistance” at Mobile Excellence Awards ’17. In addition, M-STAT has developed an innovative web tool for the company’s clients, providing them with the capability to make online payments quickly, saving valuable time.